I started posting a few Daddy ‘Do hairstyles (girls hairstyles so easy even a dad can do them) over 18 months ago. 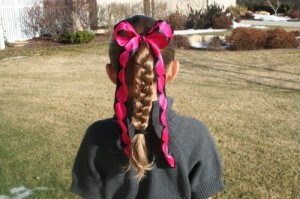 Many moms have responded that they loved the idea and offered the suggestion that maybe I have my husband do them as a tutorial. Not bad for a first try, right? Honestly, it was somewhat painful for me to see my hubby struggle to braid, knowing I could do it so much faster, but notice how gentle he is being and more importantly… notice the expressions on my daughter’s face as he does her hair! That is what this is all about! What a great daddy! 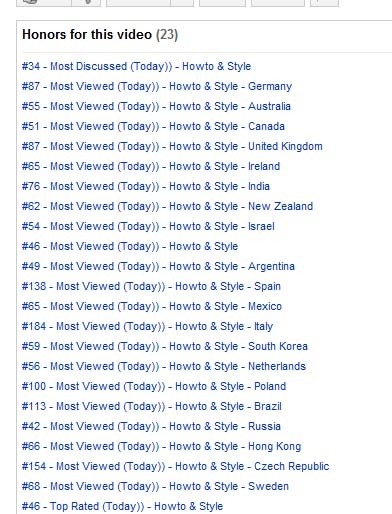 We uploaded the video to YouTube the other day, and suprisingly noticed the following statistics only 24 hours later! Apparently moms worldwide were endeared to a video of a daddy doing his daughter’s hair, that it garnered several YouTube awards that day! It has been, by far, our most popular posting after only 24 hours! 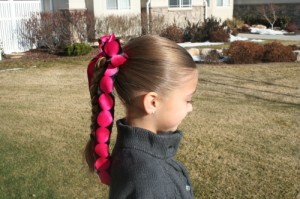 Items Needed: Rat-tail comb, spray bottle, two hair bands, hairspray, ribbon (if desired). To read all the awesome YouTube comments for this video, please click here. 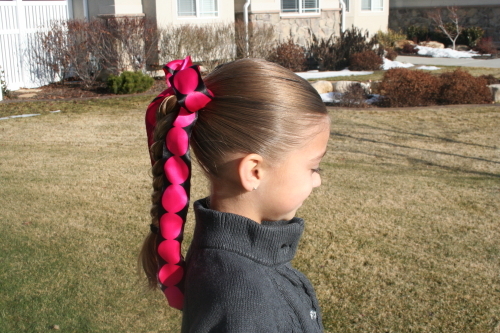 Also, if you like this hairstyle… be sure to let us know!